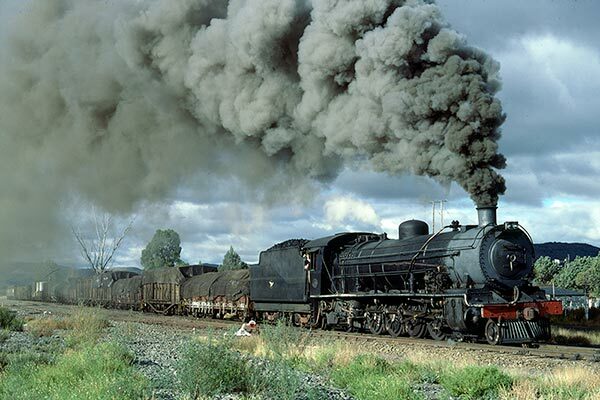 Caption - South African Railways (SAR) 15AR class 4-8-2 2093 departs from Teebus with a Burgersdorp to Rosmead goods in June 1981. The fireman had spent a few minutes building the fire before the sprint to Rosmead. Chasing by car these 15AR's had a surprising turn of speed easily clocking 80+ km/h.